AB Bank is known as one of leading bank of the country since its commencement 27 years ago. It continues to remain updated with the latest products and services, considering consumer and client perspectives. AB Bank has thus been able to keep their consumer’s and client’s trust while upholding their reliability, across time. During the last 27 years, AB Bank Limited has opened 77 Branches in different Business Centres of the country, one foreign Branch in Mumbai, India and also established a wholly owned Subsidiary Finance Company in Hong Kong in the name of AB International Finance Limited. To facilitate cross border trade and payment related services, the Bank has correspondent relationship with over 220 international banks of repute across 58 countries of the World. In spite of adverse market conditions, AB Bank Limited which turned 27 this year, concluded the 2008 financial year with good results. The Bank’s consolidated profit after taxes amounted to Taka 230 cr which is 21% higher than that of 2007. 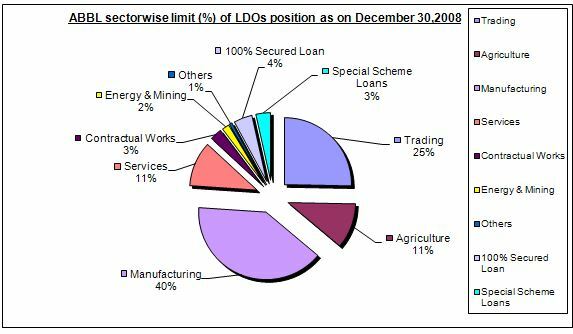 The asset base of AB grew by 32% from 2007 to stand at over Tk 8,400 cr as at the end of 2008. The Bank decided to change its traditional color and logo to bring about a fresh approach in the financial world; an approach, which like its new logo is based on bonding, and trust. The bank has developed its logo considering the contemporary time. The new logo represents their cultural “Sheetal pati” as it reflects the bonding with its clientele and fulfilling their every need. Thus the new spirit of AB is “Bonding”. The Logo of the bank is primarily “red”, as red represents velocity of speed and purity. Our new logo innovates, bonding of affiliates that generate changes considering its customer demand. AB Bank launched the new Logo on its.25th..Anniversary year. Being the first private sector Bank of the country, this Bank has prided itself in the quality of the banking services it provides by taking conscious decision to employ the best available banking technology to serve the customers which now stands over 200,000 in all. Core Banking System Kapiti was employed alongside the manual banking operations ever since 1984. Later on in the year 2004, Misys core banking solution was selected for implementation to take AB in to super highway of real time online banking of today. 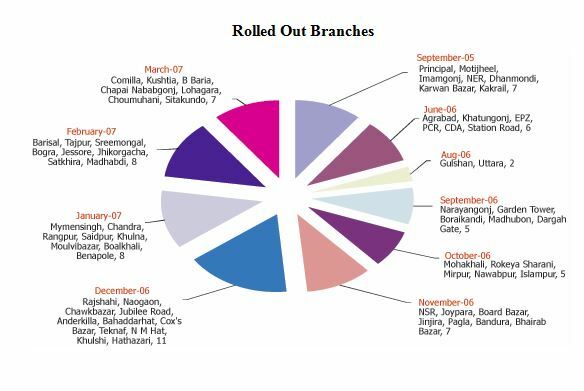 Beginning, 2005 Misys implementation was taken-up and in the 1st Phase seven (7) Branches were upgraded to the new core banking system. For the year 2006, in line with the growth strategy, service quality improvement and availability were put into focus whereupon coverage of remaining Branches under Misys became all the more important. Bank took up a massive Project of migration, connectivity, and standardization of processes and hardware throughout. A CORE TEAM was formed. The theme was YES WE CAN. We made it possible. Over the years, AB Bank has contributed in many ways towards development of the private sector banking in the country. Many of the big industries in different fields of the economy has ABBL’s name attached and this Bank remains a proud development partner of these industrial houses over the years. ABBL thrived on customer service and relationship banking which brought new dimensions to this particular service sector and many more new entrants to banking sector followed ABBL.………………………………………………………………………………. At the beginning of the year 2005, Board took the mission for the year as “a year of consolidation and growth”. 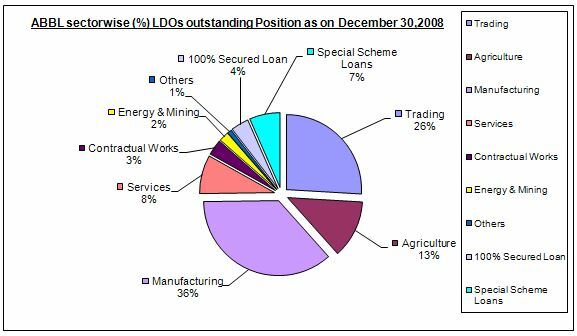 In line with that, year 2006 was identified to be the year of “financial re-structuring and growth“. Sponsors of the Bank remain committed to take AB into next higher level of banking on a strong financial footing and with appropriate systems and processes in place.…………………………………………………………………………………………………. Ttheir specialist teams offer a comprehensive service providing finance to large and medium-sized businesses based in Bangladesh……………………………………………………………………………. Considering the volume, role and contribution of the SMEs, in the last two decades AB Bank has been patronizing this sector by extending credit facilities of different types and tenor. As of now 54% of the bank’s total loan portfolio is segmented to the SMEs which deserve all out attention in our plans, projections and forecasting……………………………………………………………. Safe Deposit LockerLocated at select branches in cities all over the country, lockers ensure the safe keeping of valuables. Lockers available in various sizes. i.e. Small, Medium and Large with varying rents. Lockers are rented out for a minimum period of one year. Rent is payable in advance. The rent may be conveniently paid from your deposit account with us. Direct debits for locker rentals from customers account rid them of the hassles in writing out cheques. Misys Equation is a fully integrated, real-time, multi-currency retail banking solution that helps organizations deliver competitive products and excellent service to customers. It supports consumer and corporate banking as well as treasury operations on a single platform. Misys Equation is a fully integrated, real-time, multi-currency retail banking solution that helps organisations deliver competitive products and excellent service to customers. It supports consumer and corporate banking as well as treasury operations on a single platform. Equation Branch Automation is designed to support customer-facing staff within a retail branch banking environment. The Equation Branch Automation system is already tightly integrated with the Equation core banking server, and provides ready-to-run functionality to support cashiers, personal bankers and relationship managers. Equation Branch Automation allows online, real-time transaction processing for the Equation Banking Server, with immediate access to account and transaction information and verification of availability of funds. Webform applies the latest web-based technology to the Equation banking system. Reports are automatically captured and delivered to users as web pages over the bank’s internal network, removing the need to print and distribute paper versions of reports. Report data is available as web pages, as Excel spreadsheets, and for analysis using multi-dimensional PivotTables. Reports can also be distributed automatically as emails, enabling people who do not have direct access to the system to be kept informed with the latest data. Webform will capture existing reports, run and deliver user-defined reports, and provide an enquiry system for any previous business date, making it an invaluable management-reporting tool. Using the PivotTables built from Equation reports and associated databases, users can filter and manipulate the data to isolate key elements of information for analysis purposes. Once they have generated the required view of the data, users can drill down to see details of the underlying accounts. TI has been designed with advanced workflow management to streamline the entire transaction lifecycle and the overall workflow of the trade finance operation. TI allows the bank to define service level agreements (SLAs) for each customer. The bank can apply either customer groupings (e.g. gold, silver, bronze) or bi-lateral agreements for individual customers. The factoring capability in TI is optimised for trade receivables financing available. Finance is calculated on the agreed, discounted total of eligible receivables available on any one day. Drawings are processed at the express request of the customer. Equation IFM offers powerful features for business customers. Customers can administer their own user communities, with different levels of access to customer and account information and transactions. Each user can have a pre-defined authorisation limit, simplifying control and reducing risk. These technologies help ABBL to become one of the leading banking organizations in Bangladesh. Though they think they are lacking the Anti Money Laundering system which is an enterprise solution that takes a risk-focused approach to the critical task of monitoring for suspicious activity. The solution applies advanced analytics and scenarios against customer and transactional data from all areas of the enterprise to automatically identify, classify and surface suspicious behavior. Once identified, a seamless workflow enables the investigative function to proceed with increased effectiveness and efficiency. But they are trying to get this software as soon as possible. Other wise they think their service is an on going process which is yet to be developed. Now a days AB Bank is using modern information technology in case of providing services. To know the systems of Management information of AB Bank we tried to get the below information. What are the available information technologies? In which sectors management information technology has been used? Is there any information systems department available? Ans. Yes, We have IT department. Who is the provider of available information system? What are the non uses information technologies? Ans. There is not AML (Anti Money Laundering) SYSTEM yet. How they can get the unavailable information system? Ans. We are trying to get this software as soon as possible. Is the company follows the E-BUSINESS, E-COMMERCE, and E-GOVERNMENT or not? Ans. We have official website of AB Bank. Our E-banking service is on going process not yet done. Find out the problem AB Bank facing for not using the management information technology. Ans. As far I think AB Bank is not facing any problem right now. Is AB Bank use information system incase of competitors and satisfaction customer? AB should Expand ATM both. They should think about E-Banking. They should reduce their transaction cost on ATM both. They should upgrade their networking system. AB bank can recruit more experts on IT sector. They can start on line transaction. As a first private Bank in Bangladesh AB Bank has proved that they believe in modern Information technology system. We can see that AB Bank uses many kinds of technology like core Banking software, Front end software, Reporting software, Trade finance software, Internet banking software, global economy etc. In order to operate Banking system, it must deal with many different pieces of information about suppliers, customers’ employees, invoices and payments, and their services. AB Bank start SME loan system for helping the customer like businessman. AB Bank organize work activities that use the information to operate efficiently and enhance the over all performance of the bank. 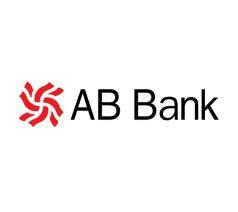 Information systems make it possible for AB Bank to manage all their information, make better decisions, and improve the execution of their business processes. Using information technology AB Bank started electron debit card. Using modern information system AB Bank uses safe deposit locker, money transfer-Western Union, Foreign remittance through exchange house. It is important to pay close attention to business processes and information system. And by looking over well it has prove that AB Bank is such a great sector which is using information technology and make a place for themselves in modern technology system.